The lair is set for a Game of Throne viewing session. For $569 a night, the hotel offers a “Lannister’s Lair” every Sunday from the premiere of the show on April 14 to its finale. The suite comes with various GOT-themed decorations and food. The room also comes with HBO. For those who want to watch '"Game of Thrones" like Westeros royalty, the Refinery Hotel in Midtown has a suite for that. 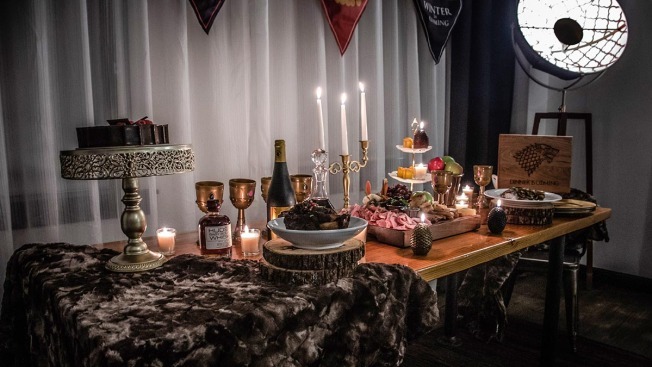 The suite comes with fur throws, dragon eggs, wine goblets, themed food service with GOT-themed dishes, and house banners. Oh, and a TV with HBO. “Those who book are guaranteed to be hosting the ultimate viewing party, spending the day eating and drinking like kings & queens,” the hotel said in the room’s description.